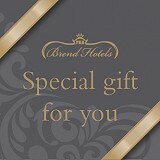 Give someone a gift they won't forget with a Brend Hotel voucher. We have a range of options, perfect for him or her, family members or friends. All vouchers can be purchased online, to be sent by email or by post and can be personalised with your own special message. 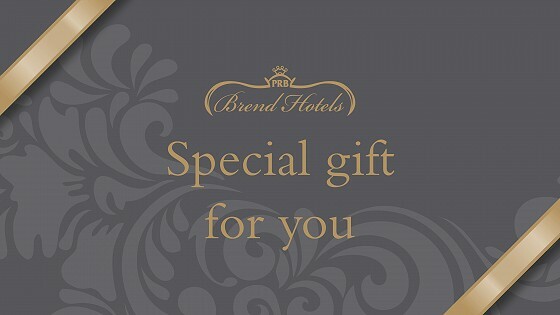 Postal vouchers are presented in a wallet in a design of your choice with coordinating voucher enclosed. They can be sent to your own address or directly to your recipient and you can select the date on which the voucher should be dispatched. Vouchers can be purchased online or at our reception desk, but not over the phone. From stays in our glorious bedrooms to delicious meals and dancing the night away, we have a number of options that can be used at The Victoria or at any Brend property in Devon and Cornwall. To spend in any number of ways, including as payment for Victoria Hotel stays. They can be given to whoever you wish and can then be spent at The Victoria Hotel. We will accept them to pay for (or contribute to) bookings and accommodation plus meals in our Jubilee Restaurant or in any other of our hotel dining options. 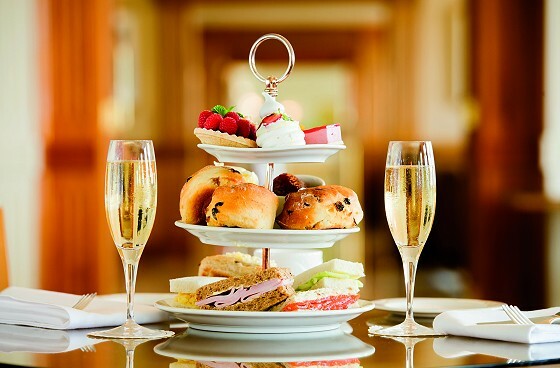 Afternoon Teas with Champagne for two cost £55 and can be held here at The Victoria, ideal after a walk along the Sidmouth coast and shops. Our popular Sunday Lunch is served from 12.30pm to 2.00pm in our Jubilee Restaurant. For only £44 you can treat two people to a mouthwatering 2-course Sunday Lunch, or make it a 3-course meal with a £54 voucher. Every Saturday night throughout the year, the Victoria Hotel stages a fantastic Dinner and Dance. We've live music from great bands so guests can dance the night away. After fine dining in the Jubilee Restaurant, everyone joins in the dancing and there is perhaps a few liqueurs to round off the evening. Our dinner dances are renowned as the best in Sidmouth, Devon and even further afield - the perfect Christmas gift to receive in voucher form. 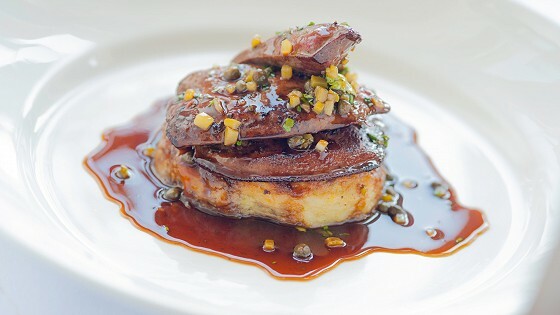 Vouchers are £90 for two people and a Sample Menu is online to view. As with all our vouchers, buy a Dinner and Dance for 2 on our Vouchers Page. 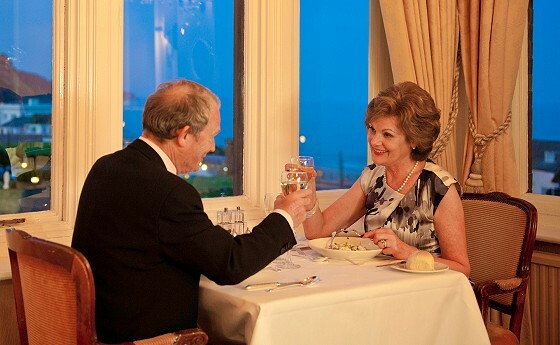 Our final voucher is for a purely luxurious meal for two people who deserve to be wined and dined. 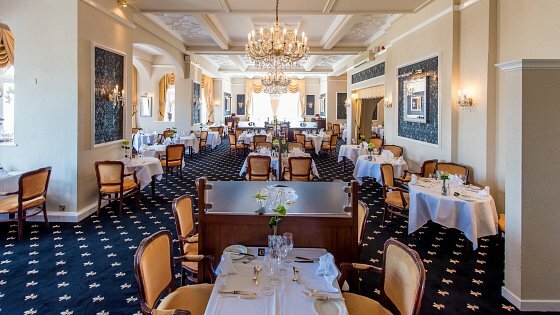 Purchase this voucher and the recipient will enjoy a five-course dinner including coffee and homemade petit fours - would this be perfect for a couple who deserve a meal out? It can be redeemed between Sunday and Friday evenings and like all our evenings in the Jubilee Restaurant, gentlemen are required to wear Jacket and Tie and the ladies can take the opportunity to dazzle. Buy a Table D’hôte Dinner for 2 on our Vouchers Page. How wonderful. It's time to redeem your gift. Or, if you wish to dine in one of our dining rooms or claim a meal voucher, call us directly on 01395 512651 to book a table.